SureStay Plus Hotel by Best Western Evansville est idéalement situé dans le centre de Evansville. Venez découvrir et profiter de notre hôtel à côté des principaux sites touristiques. Réservation au meilleur prix et offres exclusives toute l'année. Le SureStay Plus Hotel by Best Western Evansville est un établissement non fumeur situé à l'intersection de l'US 41 et de l'I-64. Nous sommes idéalement situés à proximité du golf et Country Club de Cambridge, du parc d’expositions 4-H du comté de Vanderburgh, de Toyota Manufacturing Corp. , de l'extension d’université de Vincennes et de l'aéroport régional d'Evansville. De nombreux restaurants sont à quelques minutes à pied. La galerie marchande d'Eastland est à 15 minutes en voiture de l'hôtel, et le casino Tropicana est situé à environ 24 kilomètres, dans le centre-ville d'Evansville. Notre salle de réception/réunion peut accueillir jusqu'à 45 personnes. 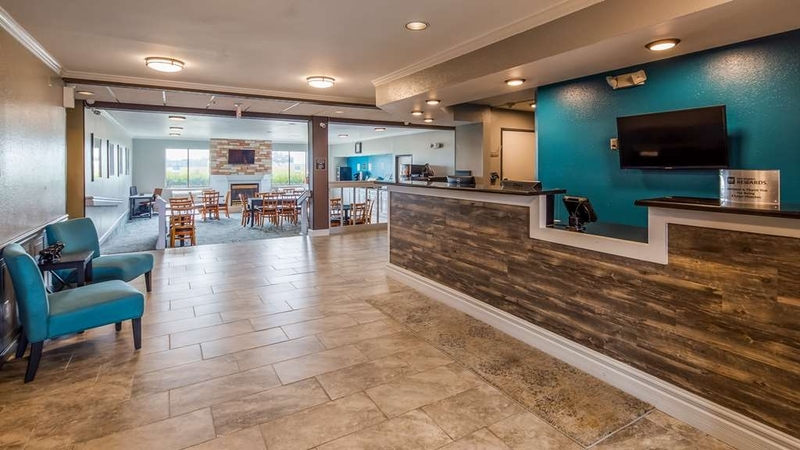 Le SureStay Plus Hotel by Best Western Evansville a été récemment rénové et est entièrement non fumeur. Il offre une piscine intérieure, une salle de réunion qui peut accueillir jusqu'à 45 personnes et un centre d'affaires. Toutes les chambres incluent Wi-Fi gratuit, télévision à écran plat, sèche-cheveux, fer et planche à repasser, café dans la chambre, four à micro-ondes et mini-réfrigérateur. Notre petit déjeuner buffet complet, chaud et gratuit se compose d'œufs brouillés, une viande, fromage à la crème et petits pains, pain, muffins, yaourt, jus de fruits variés, lait, céréales variées, café et thé. A very nice hotel at a great price. No frills but clean rooms, comfy beds and nice staff. Three restaurants within a short walk. 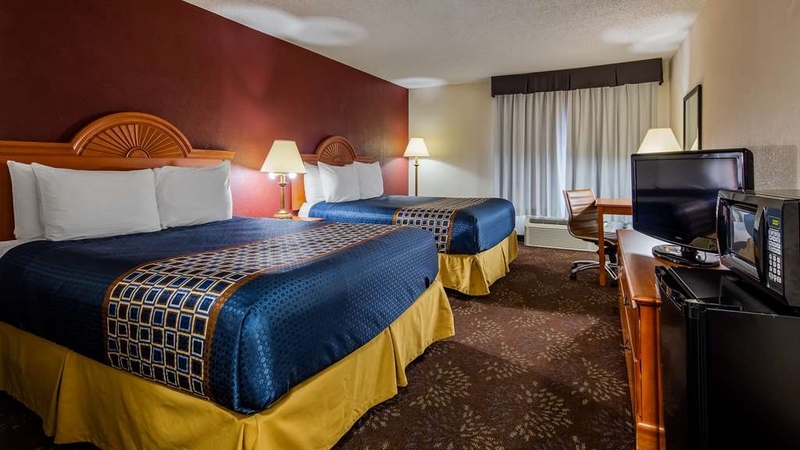 It is part of the Best Western family so you can earn points. We definitely recommend staying here. We appreciate you taking the time to share your feedback after your recent stay at the SureStay Plus by Best Western Evansville! Our team strives to provide a relaxing and welcoming experience for each guest, and we're thrilled to hear that your accommodations met your needs. We're so glad our location was convenient as well. Please come back again next time your travels bring you to the area! "Clean, and comfy. Front desk clerks were very nice upon check in and check out." Clean, and comfy. Front desk clerks were very nice upon check in and check out. Indoor pool was clean and looked nice, but we didn't get a chance to swim or try the breakfast next morning because we arrived very late and slept til check out. Dear Christian, It was a pleasure hosting you at SureStay Plus by Best Western Evansville while you were in the area. It's great to know that you were pleased with our clean accommodations and friendly service. You'll have to come back soon to refresh in the pool and give our delicious breakfast a try. Thanks so much for leaving a positive review! My two sisters and I enjoyed our short stay at this hotel. The room was rooming & clean. The staff was very polite and welcoming. Didn't get a chance to try their breakfast due to our early flight but I have always had a good breakfast experience with Best Western Hotels. Great location to the airport. Thank you for allowing SureStay Plus by Best Western Evansville to provide a great night's sleep for you and your sisters before your early morning flight. We appreciate hearing that you enjoyed your stay and hope the rest of your travels were wonderful. Please come back and see us the next time you are in town! Very friendly reception - the receptionist could not have been more caring and competent! Got upgrade to the top floor (we kidded about being the penthouse!) Room very large and clean. Excellent TV and reception. Used the indoor pool - it was small but perfect just to relax. (Warm water!) Comfortable bed. Breakfast was also excellent - everything was well prepared. Checking out was also very pleasant - courteous with a smile. Only area that was a bit disappointing - had a late lunch so was going to grab a snack from the hotel vending machine. Not much of a selection. Will stay again of I am on I-64. Dear Bob, Thank you for taking the time to reach out after your recent stay at the SureStay Plus by Best Western Evansville! 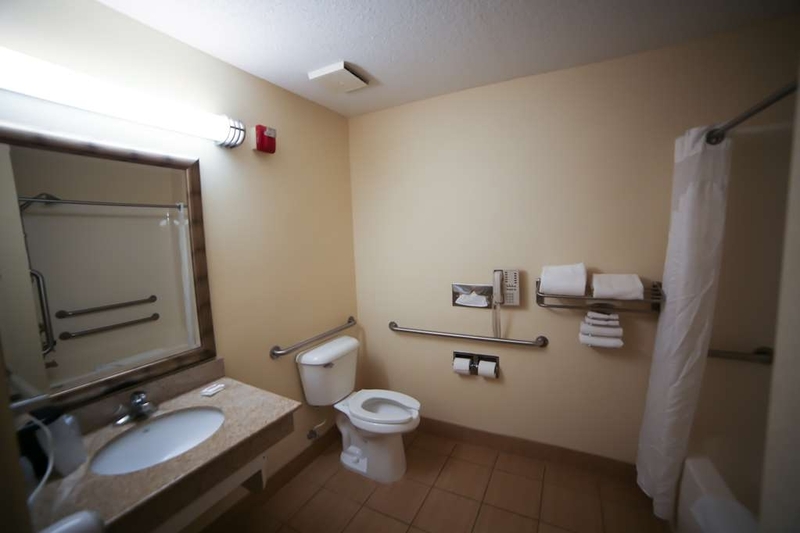 We're thrilled to hear that our team provided friendly, helpful service during your time with us, and we're so glad your accommodations were comfortable and relaxing. We're happy that the pool was enjoyable and that breakfast met your needs. Our staff will use your feedback regarding the vending machines to improve our amenities, and we can't wait to see you again next time you are in the area! I have been staying here for last 11 weeks. Nice hotel. Good breakfast, clean rooms and nice staff. We have had no issues. Internet isn't always working at fast speed but it works. No issues and plan to continue to stay here for work. Thank you for choosing us for your extended visit. 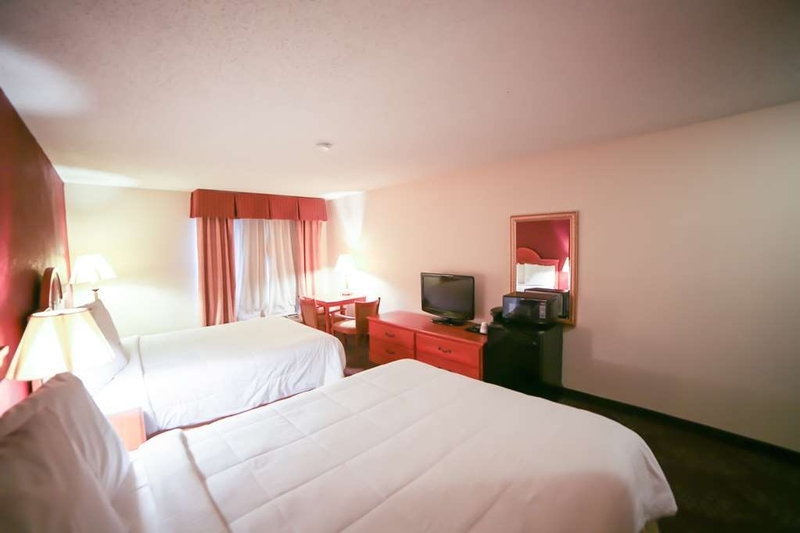 We're glad our clean, cozy rooms and excellent breakfast are ideal for your needs and that our friendly staff continues to impress you. Please accept our apologies for any issues with the WiFi. Our staff is always happy to assist with this. We hope the rest of your stay is enjoyable, and we welcome you to stay with us again the next time you're in town. It was convenient to major highway. Room was clean spacious and they turned the heat on in the room as soon as I arrived. We didn't get to use the pool or weight room but they were nice and clean. Would stay again. Dear Debi, Thank you for choosing SureStay Plus by Best Western Evansville! We are thrilled to know that you appreciated our convenient location, as well as our helpful staff members and clean rooms. We wish you well, and we hope to see you again soon! Providing our guests with clean, comfortable accommodations, along with a tasty, filling breakfast, all at a great value is our goal. We are thrilled we accomplished this during your stay! Keep us in mind for any future visits to Evansville! We would be honored to host you again and deliver another exceptional stay. "Toyota Princeton with IBEW LU369"
Friendly staff and very clean. Easy reservation and checkout with decent rates.. I would recommend this hotel to anyone passing through or wanting to relax for the evening. The easy interstate access and local stores are good as well. Thank you for your five-star review of your stay here at SureStay Plus Hotel by Best Western Evansville. We are delighted to have earned your recommendation! Our goal is to deliver outstanding value, and we look forward to our next chance to host you. Choose us again when you are passing through! Was visiting Indiana to see my grandkids and daughter for Christmas. Was happy with our accommodations, the staff was helpful and courteous, the beds were extremely comfortable, breakfast was awesome, would highly recommend this Hotel to Family and Friends. Thank you for the lovely review and recommendation! We're so pleased you had a comfortable night sleep and that our excellent breakfast menu was to your liking. Our wonderful staff would be proud to host you again at SureStay Plus Hotel by Best Western Evansville! "Nice room with great jacuzzi!" It's always a pleasure hearing from our guests. We're so pleased that our comfortable rooms and excellent breakfast selection were ideal for your trip. However, we apologize for any concerns about noise disruption. Our staff is always happy to speak up on your behalf. Should your adventures bring you back to the area, we invite you to stay with us again. "Great option off of 64"
Saw the good reviews and great price for the SureStay outside of Evansville and gave it a try for an overnight stay. 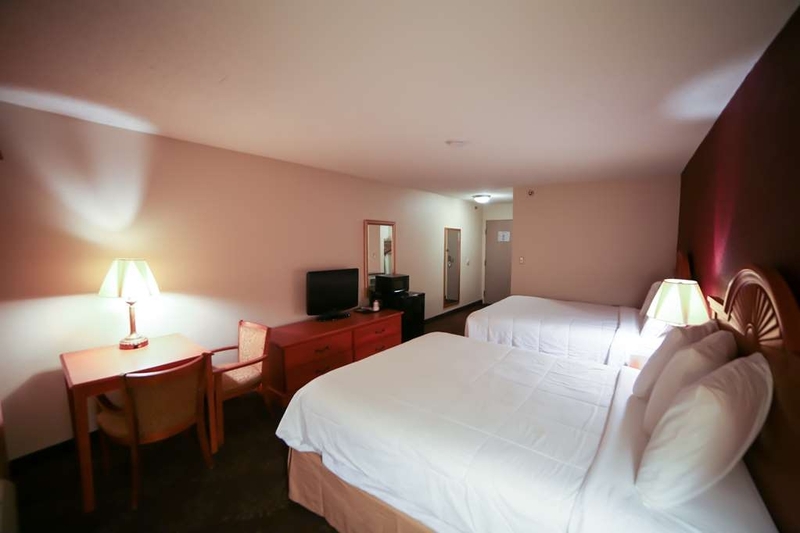 Perfect for what we needed - pet friendly, comfortable room and bed, clean, reasonable breakfast, good staff, etc. Highly recommended! 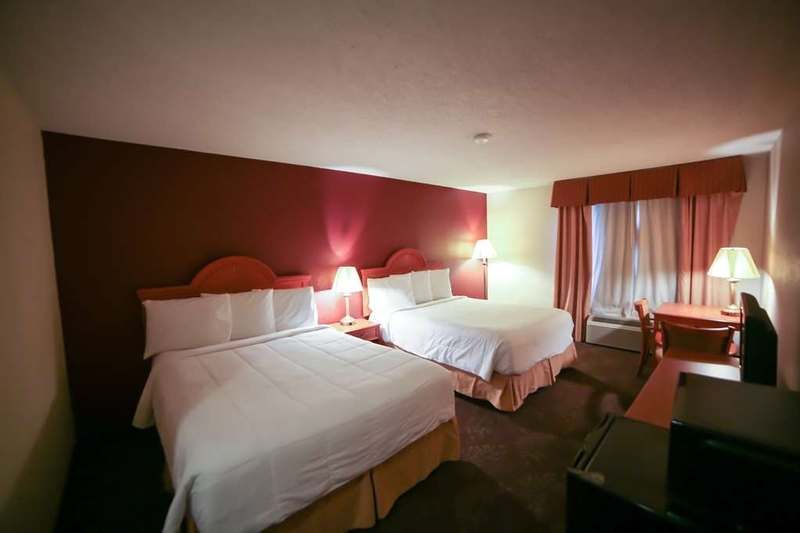 We are very glad to know that we were able to provide you with everything that you were looking for in an overnight stay, and we thank you for your input. We will share your comments with our hardworking team and commend them for their work. It was a pleasure serving you here at SureStay Plus Hotel by Best Western Evansville, and we hope to see you again soon! Beautiful room, fantastic breakfast, wonderful staff. The bed is the best we have slept on in all our travels. The only thing I would change is to add brighter light bulbs in the rooms. I like a lot of light and better LED bulbs would be great. We highly recommend this property to anyone staying in the area and we will stay there again when we are back in town. Wow! Thank you for your awesome review! It was a delight to provide you with the unbeatable value you deserved here at SureStay Plus Hotel by Best Western Evansville. Thank you for so nicely detailing some of what you enjoyed! We appreciate your constructive thoughts regarding lighting as well and will ensure that your voice is heard as we meet. Thank you for your recommendation! It would be our pleasure to host you again very soon. "A Little More Attention to Detail"
Overall, this was a good place to stay. Staff was friendly, room was very comfortable, and even the breakfast was good. The issues came when I went to shower. There was soap scum on the handrails in the shower. It rinsed off very easily, leading me to wonder whether the shower had even been cleaned. In hopes this was a one-time event, I would stay again, but it would be good to check bathroom cleanliness upon arrival just to be sure. The Internet service was very poor. I showed good availability, but it was exceedingly slow. I finally had to give up and leave my work unfinished. This is always a real frustration to me, as I rely on being able to connect and work in the evenings. No one asked about my stay at check-out, or I would have informed them. Thank you for your feedback, we always appreciate hearing about our guests' experiences with us. It pleases us to learn that overall you had a pleasant stay. We're happy to hear that you enjoyed our friendly service, comfortable rooms, and tasty breakfast. We're very sorry about the concern with cleanliness you mentioned regarding the bathroom. As you suspected, that is not typical for us, and we'll be speaking with our team to ensure we do better in the future. We're grateful that you'll be returning in the future, we'll be waiting patiently to serve you again. Traveling for a wedding, just stayed overnight.Nice place to stay, very convenient to highway and clean! !Great price too!! Lady at desk was very nice and knew the area very well.Glad we picked this hotel. We take pride in offering clean, welcoming accommodations at an affordable rate, so we're thrilled to know you appreciated our efforts. Our wonderful staff was happy to provide you with information about the area and ensure you had a pleasant stay. Thank you for the kind review. We look forward to seeing you again soon! This is a very nice property for the money. 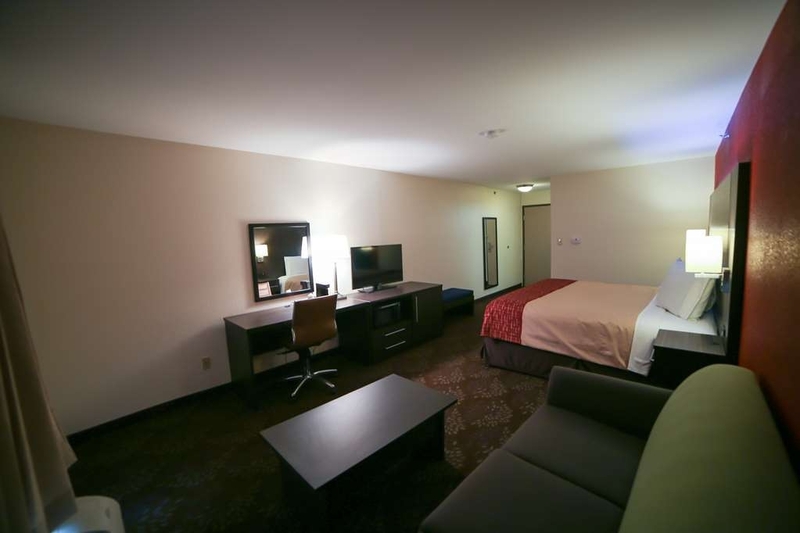 The rooms and lobby have been recently updated and are clean. The breakfast has been improved and is good. The employees are friendly and always helpful, Crystal and Cassy are great along with Andy the manager. Dear Jay, It brightens our day to hear that you enjoyed your stay at the SureStay Plus Hotel by Best Western Evansville! We're so glad the newly renovated rooms and lobby were welcoming and clean, and we're happy that breakfast hit the spot as well. Thank you for your feedback, and we hope to see you again next time you are visiting the area! Friendly and helpful staff. The hotel looks new and fresh. I don't like memory foam mattress.. There was no guide for the TV. The room rate was very economical. I will likely stay there again. The location is good near the interstate and there are plenty of fast food joints within walking distance. Dear Paul, Thank you for staying with us and taking the time to leave us a review. Our friendly staff will be proud you valued your interactions with them. It's also great to hear that our convenient location and affordable rates were just what you were looking for. It's unfortunate the mattress and TV were not to your liking, but we're glad they were only minor concerns. During your next trip to the area, we'd be happy to host you again. "Good stay at the end of a long day"
After driving almost 900 miles I was ready for a good night's sleep. Check in was easy and quick. And someone had left the AC on in the room so the room was cool!! The room and bathroom were clean. Towels in good shape and plenty of them. The bed slept very well. The "free" breakfast had protein items on the buffet (scrambled eggs and sausage) along with the usual cereals, bagels and bread and there was a waffle maker. The lady attendant was almost to attentive but she was very nice to all the people eating. Check out was quick and the clerk was very nice. Thank you for stopping in with us! Our team is delighted to know that we could provide the calm, convenient, and refreshing value you needed for a peaceful stay. Our clean rooms are a testament to the hard work and dedication of our service team. We're delighted that breakfast was a great boost to get you back on the road! 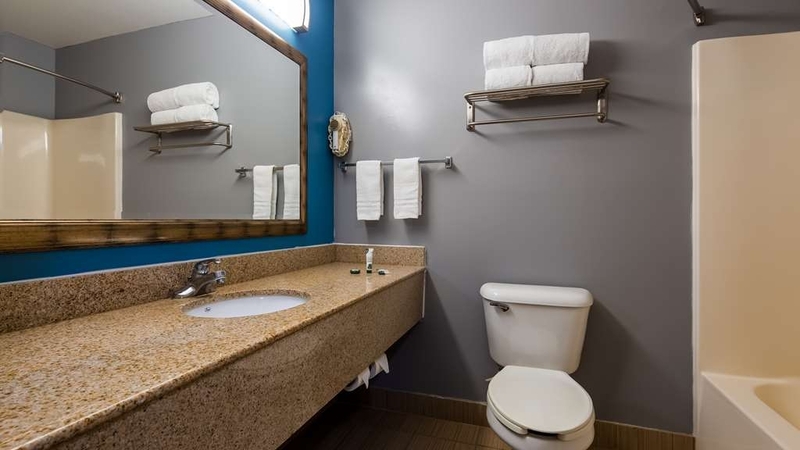 Should your travels bring you back through the area, stay with us again here at SureStay Plus Hotel by Best Western Evansville. 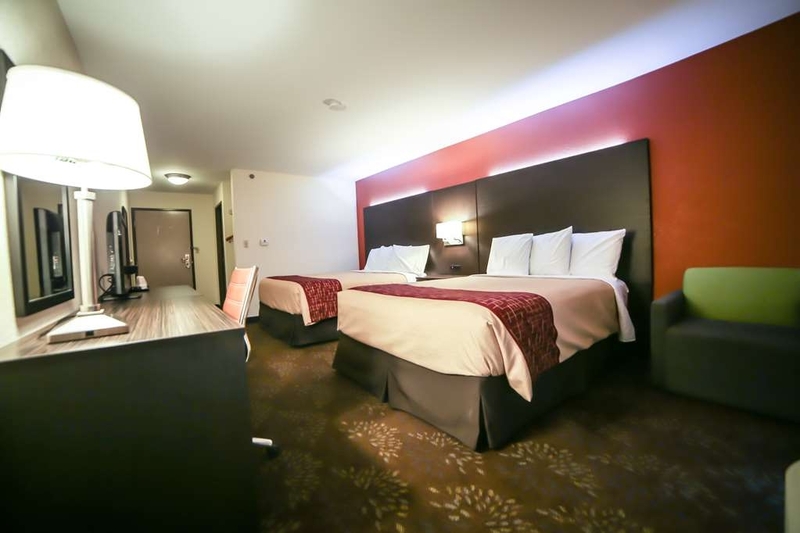 Many thanks for your kind review of SureStay Plus Hotel by Best Western Evansville! We hope the wedding you attended was a beautiful event and we wish the happy couple all the best. It's wonderful to hear that our tasty complimentary breakfast and attentive front desk assistance helped make your stay pleasant. We appreciate your thoughtful compliments and would love to have you return. Nothing special. Employees were pleasant enough, but the facility was bland. It felt like an old building with new finishes. Indoor pool was the only amenity I found—no exercise equipment. Breakfast was bland, bland, bland. Dry scrambled eggs, brown and serve sausages barely cooked, flavored artificial creamer—no real cream in sight. I like a little hot sauce for my eggs, but none available. We greatly appreciate you taking the time to share your feedback with us. It's unfortunate to hear that the breakfast selection was not to your preference, and we'll be sure to consider your feedback as we continually improve upon our amenities. Given the opportunity, we would like to deliver an even better experience. This hotel is a definite 5 star. I was a little hesitant to book because it is a few miles outside of Evansville, but well worth it. It is a nice quiet hotel, the staff here is so friendly and helpful. They are all always cleaning, wiping down, mopping, the hotel is spotless. The pool is small, a little too cold, but a nice swim regardless. No hot tub on the premises, no exercise room either. The breakfast was a typical hotel breakfast. They had eggs, sausage links, waffles, cereal, toast, bagels, and muffins. There are a few other hotels in the area along with a Dennys, Mcdonalds, and Arbys, so the selection of eateries is not much in this area. The only complaint that I have is the air did not keep the room cool enough for me, the pool was too cool, and I run out of toilet tissue and Kleenex, they do not keep the paper stocked well. I only had 2 kleenex in the room and 2 less than half rolls of paper. Even in the pool bathroom, the tissue was almost out. Would I stay again if in the area, a definite yes, especially for the price. This will be my go to hotel when I need to be in or around Evansville. It's an honor to receive your excellent rating of SureStay Plus Hotel by Best Western Evansville! 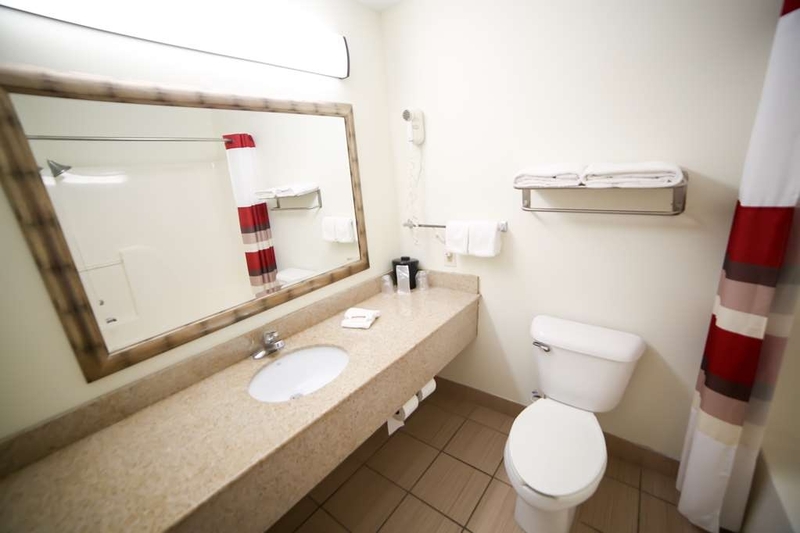 We're delighted that you enjoyed the quiet, spotless accommodations and great rates we offer. It's regrettable that some aspects of your stay could have been better and we'll mention this to our team. However, we're happy that you had a wonderful stay overall. Many thanks for your thoughtful praise and we look forward to seeing you again soon. The room was so well deoderize that I thought I was sleeping in an orange Grove all night. I was quite insulted when i was told that there was a extra $50 deposit fee and that when I checked out, someone would accompany me back to my room and inspect it. If they found nothing wrong, I would receive my money back. To me that is insulting. They took my debit card and a copy of my license even though I paid in cash. Dear MaryBeth, Thank you for your review. As is standard practice in the hospitality industry, our team maintains a security deposit for the comfort and safety of our guests and our property. Doing so requires the collection of established forms of identification like your license and debit card. With the return of a room in excellent condition, the deposit fee will be refunded. It is never our intention to provide anything but prompt, professional, and caring service and we look forward to our next chance to serve you here in Evansville. "Clean Rooms, Great Setting, Great Value"
Dear Clyde, We were happy to accommodate your last minute lodging needs and ensure you had everything you needed for a comfortable visit. Thank you for sharing how much you appreciated our clean, quiet rooms and excellent breakfast selection. Our wonderful staff takes pride in making all our guests feel like VIPs and will be proud you valued your interactions with them. 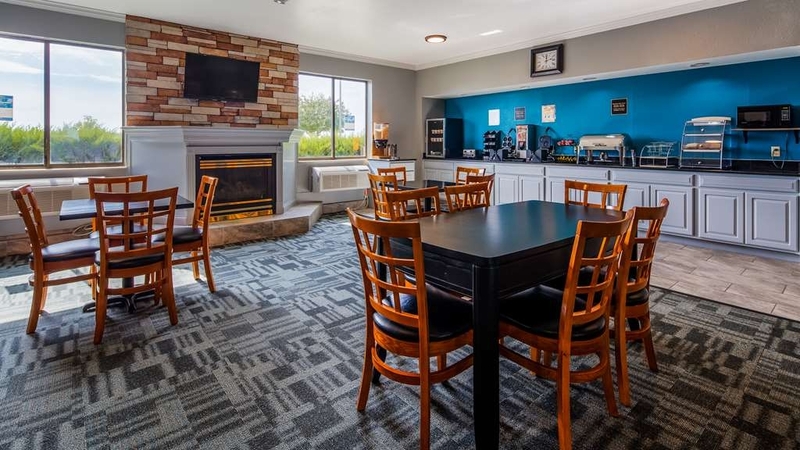 The next time you're looking for a welcoming, affordable place to stay in the area, we invite you back to SureStay Plus Hotel by Best Western Evansville. "Don't believe the bad reviews!" We cautiously chose this hotel despite some negative reviews we saw. Upon arrival we were blown away by how beautiful the lobby and breakfast area were. The hotel was impeccably clean. The man at the front desk Andy I think was the manager was so kind and knew a lot about the area. The room was clean and well appointed. I think they just finished a renovation and are still updating somethings. Breakfast was great, when things ran out we informed the staff and they restocked everything immediately. For the price how dare anyone complain, the other hotels nearby are not even half as good, trust me I have stayed at all of them even the holiday Inn. They charge more too some days. Only thing to know is that they authorize your card for 50$ more for incidentals or require a 50$ cash deposit which is understandable. This will be our go to from now on, they really go the extra mile, if there are any issues, just talk to them they make it right. 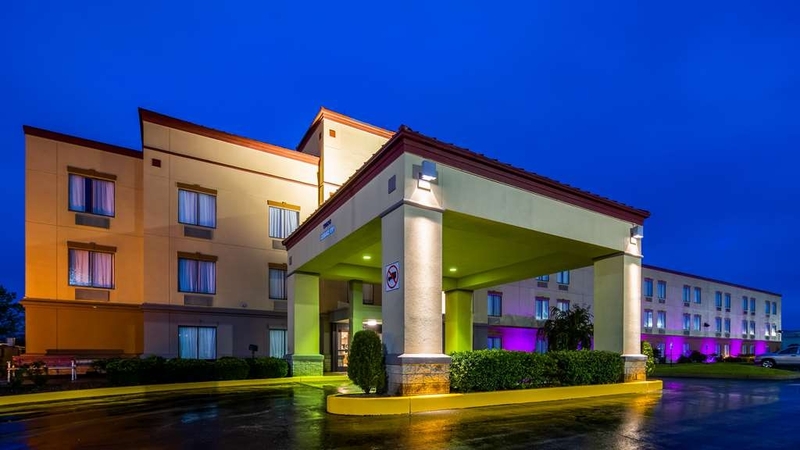 Dear Jeff, How wonderful to hear that SureStay Plus Hotel by Best Western Evansville is now your go-to hotel in the area! We're thrilled our clean, updated accommodations impressed you and that our amazing staff promptly responded to any concerns. Thank you for the lovely review and recommendation. We look forward to your next visit. The staff is wonderful and make you feel comfortable. Rooms are clean and dinner/lunch options are close by. My family had fun in the pool and breakfast was hot and filling. I would stay again for sure! 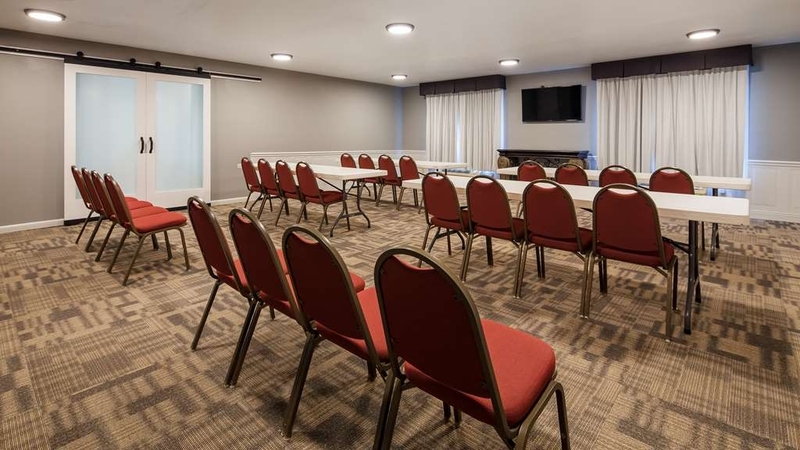 It is truly a pleasure to know that you and your family enjoyed your time with us here at SureStay Plus Hotel by Best Western Evansville, and we appreciate you taking the time to share your thoughts. We are very glad that you appreciated our friendly staff members, and we will be happy to share your kind comments with them. In addition, we are happy to hear that you all had fun in our pool and found our breakfast to be delicious and filling. Thank you for your feedback and we hope to see you again soon! Thank you for your wonderful feedback! It means the world to us to read that you loved your stay here. As you detailed so well, we have recently undergone some exciting changes and we were delighted to share them with you! We are particularly pleased to know that you felt so well cared for. The team here at SureStay Plus Hotel by Best Western Evansville would love another opportunity to serve you! This location has been a HI Express, Red Roof Inn and now a Best Western. This is my 4th stay. Each time it was for one night. It is my 1/2 way point when I make trips. The breakfast bar is always fully stocked and if it is not just tell the crew what is missing. Beds are comfortable, rooms are clean and the staff including the management are top notch. The pool is small but looked very inviting. If you like mexican dishes try Los Tres Caminos which is on 41 due south about 4 miles on the right. There is a Denny's right next door to the hotel and fast food places as well. If you are a super picky person and you complain about everything, this is not a place for you. You need to stay at the $200-300 chains. Then you have a right to complain. For the price you cannot beat the hotel. Oh yeah, in the same area there is a Super 8, Quality Inn, Baymont and HI Express....check them out first....Then go to the best. Dear Ed, We're proud to include you among our returning guests. 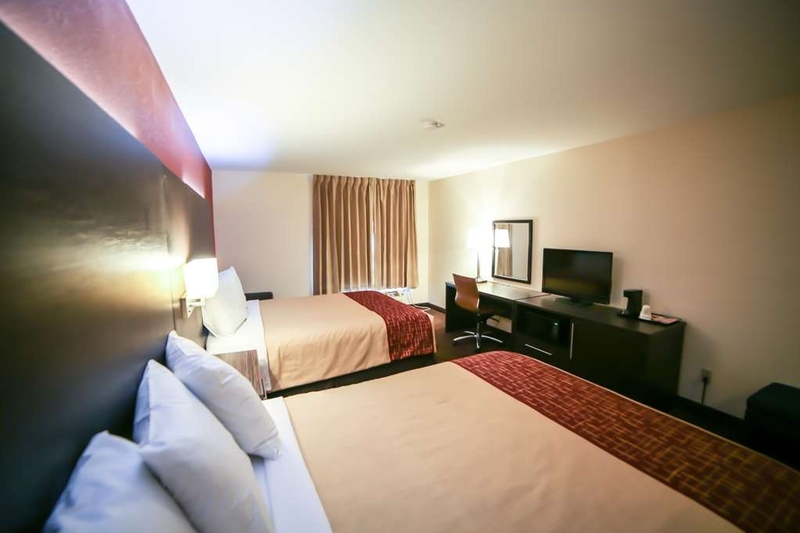 It's so nice to know that our location works well for your travels and that you always have a restful night. Thank you for sharing how much you enjoy our variety of breakfast options. Our friendly staff looks forward to your next visit. "Pay more than quoted, for more problems than you anticipate." Upon first arriving at the hotel, on time and on the correct date, I checked in with no problems with the front desk clerk Cassie. I got the key cards for our room on the 2nd floor and started carrying my family's luggage up to the room. When I arrived at the room, I unlocked the door and to my surprise the room had been abandoned in the middle of being cleaned from the last occupant. This was after check-in time, closer to 4pm. The trash cans were still full, the bedspreads were scattered about, and the floor needed vacuuming. I left the luggage in the room and headed back to the front desk to inform them. The front desk clerk apologized and told me she would see what other rooms were available while I retrieved the luggage and returned the cards. Housekeeping met me at the room and insisted that I give them half an hour to quickly clean the room. I headed back down to meet my wife and two small children to inform them of what was going on. The front desk clerk informed me there were no other rooms with the exact same configuration, but she could bump us to one of the nicer rooms on the 3rd floor that was similar. I retrieved the luggage from the old room and proceeded to the new one. I was satisfied with the resolution and had no further complaints with the situation. The room was the standard fare for most hotels and I had no issues with it. Our first day to visit family in the area, I realized all of the outside RFID locks look like they had been forcibly ripped from the door frames, allowing access to everything in the building except for the rooms themselves. So not the most secure hotel in the area (picture included). Access to the back parking area is also along an incredibly tight path that has a retaining wall on one side. Careful driving is a must to avoid vehicle damage. On our second night at the hotel, we came back around 9pm and neither of our key cards were working on the door. I headed to the front desk to talk to a young man, whose name I don't recall, who informed me that the key cards hadn't been registered for our whole five night stay. He corrected the issue promptly and were able to get in without any more problems. We used the pool once and had breakfast every morning. Both were well-stocked and acceptable. Housekeeping was kind, but often unhelpful due to language barrier issues. Anything beyond simple requests had to be routed through the front desk. At checkout, the young man was there again and greeted me kindly and made the process simple. After we left, I gathered up all the receipts and papers in the car from the trip and realized we had been billed more for the room than what we booked it for, nearly $100 more! The rate per night was about $20 more than we booked for and I suspect when our room we "bumped up" to a nicer one, they didn't comp the upcharge. If I'd known we would have been billed more, we would have just driven to one of the other surrounding hotels. Tl;Dr Hotel is pretty standard as far as rooms and services. Parking area and outside door security are bad. Language barriers exist with housekeeping. Front desk was good at resolving issues quickly, but the issues shouldn't have existed in the first place. IF THEY BUMP UP YOUR ROOM, YOU MAY BE CHARGED MORE! The room was clean and very comfortable. Quiet environment. Everything was satisfactory. My over night stay was very good. The bed was excellent and we rested very well. The bathroom was satisfactory. Enjoyed the stay. On behalf of our team, we thank you for your excellent review of your visit here to the SureStay Plus Hotel by Best Western Evansville! We strive every day to provide a clean, comfortable, and convenient stay for all our guests, so it's wonderful to read about how we met all of those with your recent visit. 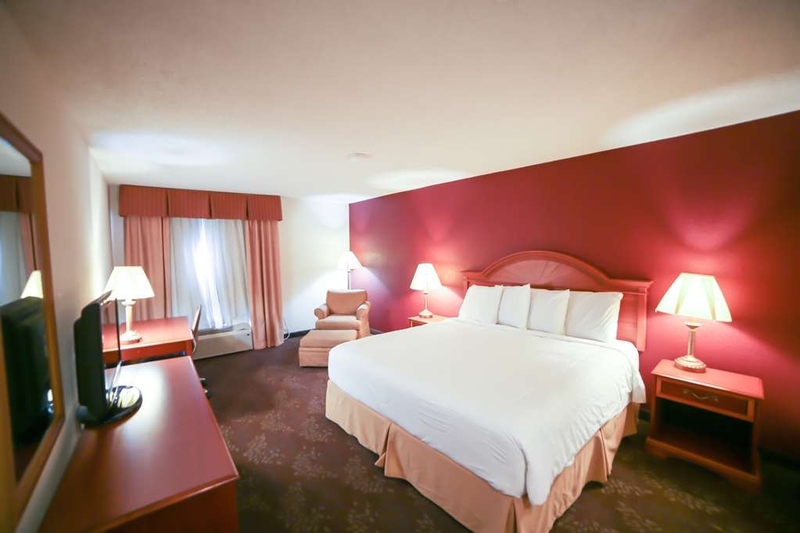 We look forward to providing you with another quiet, restful stay when your travels bring you back to the area! This was a one night stay and was exactly as to be expected. Clean and recently remodeled. The breakfast was skimpy but very clean area otherwise. Coffee was nice and hot. Convenient location off the highway. Sheets were not the softest but the room was tidy. Shower was great. Terrific water pressure with good soap and shampoo. Can't complain. Front desk staff were very friendly. Nice people. Dear Shannon, It was our pleasure to host you on your recent visit to Evansville, and we appreciate your feedback. It is wonderful to hear that our reputation for clean rooms and friendly service stood out to you. 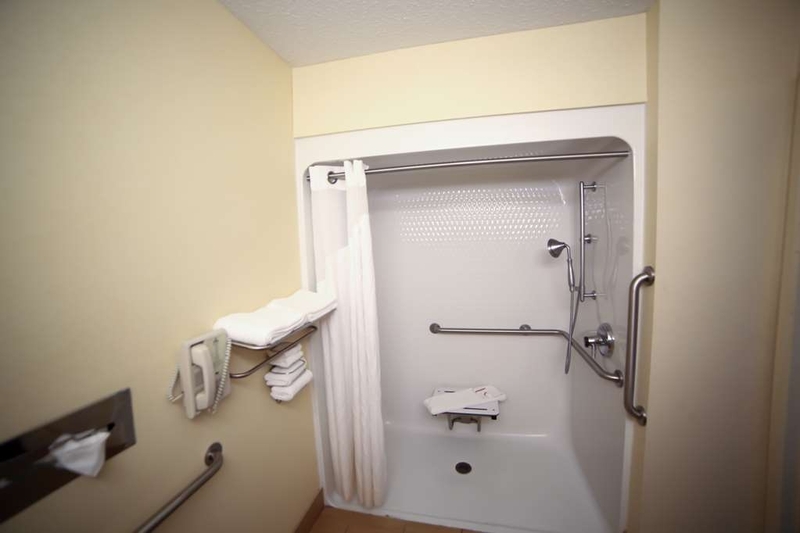 We are glad that you especially enjoyed our bath amenities and great water pressure. Please accept our apologies that our breakfast didn't quite meet your expectations. Our team is always happy to recommend a nearby dining option that may better suit your needs. Thank you again for your review. We hope to see you soon! Room was large and clean. Breakfast was just ok. Eggs were runny and the juice machine didn't work. Hubby said his waffle was good. One thing I didn't like was the $50 deposit added to the bill. They said it might take up to 3 weeks to credit it to your card. (3 weeks?!) It didn't take that long, but I've never had to pay a deposit before at any hotel. Dear Sharon, We appreciate your thoughtful comments. 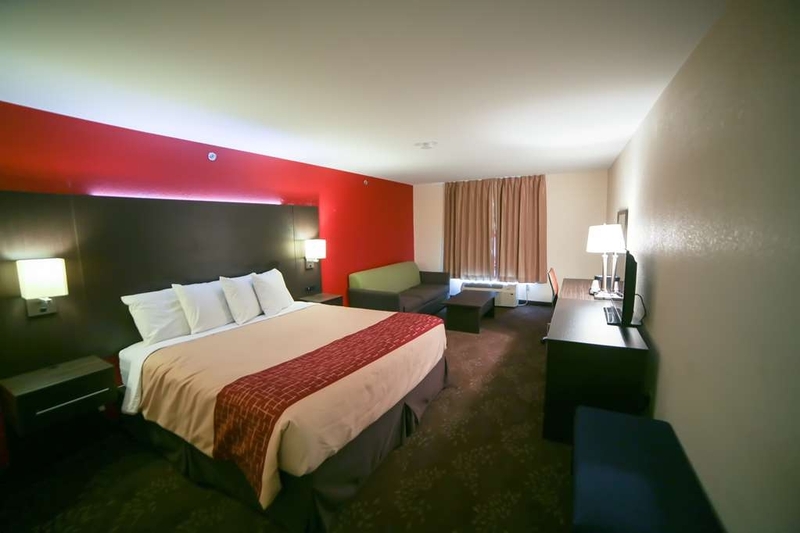 We're happy to hear that you enjoyed the clean and spacious room that we were able to provide. We know it's important to stay in a welcoming environment when you're on the road. We're sorry that you were not pleased with the policy, but this policy is in place at many hotels nationwide for several reasons such as damages in the room. This policy is stated online and we inform you of this policy when you make your reservation. We're pleased to see that we were able to return your money in a timely manner. Thanks for paying us a visit, we hope you enjoyed the rest of your trip. Clean hotel, remodeled last year. Beds are middle of the road comfy. Quiet, and near restaurants etc. Great price - less than $100. Front desk staff was very friendly and polite. We will definitely stay again when driving through. Dear Stacey, We are glad you had a wonderful stay here with us at SureStay Plus Hotel by Best Western Evansville. 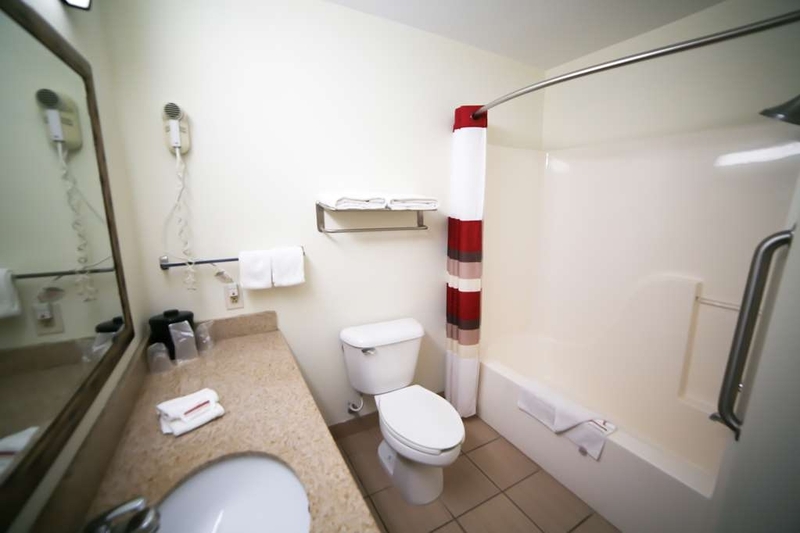 It is great to know that you had a terrific visit in your quiet, clean and comfortable room. Also, we are delighted that you liked our location close to many dining choices, and we are pleased to know that you appreciated our budget-friendly rates. Our team is looking forward to your next visit. Great hotel for the price! Very nice rooms and good breakfast. We really enjoyed our stay. Room was very spacious and comfortable. We were very happy with this hotel and would stay there again when in the area. What a terrific review! We're so happy to see that you really enjoyed the experience. 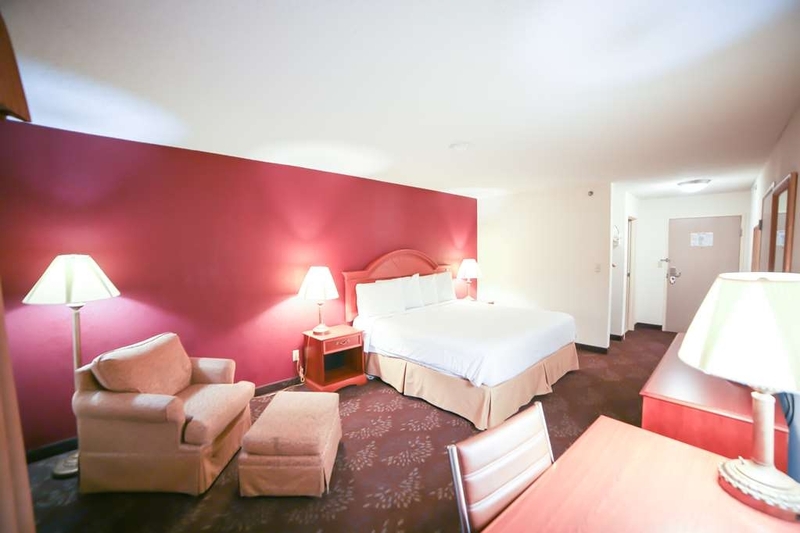 Our spacious, cozy rooms and caring service mean that every guest can leave us feeling fully refreshed. 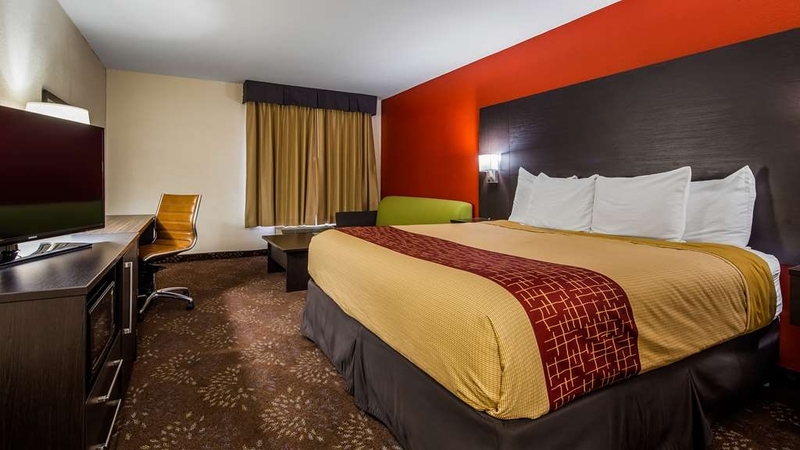 We would love to serve you again here at SureStay Plus Hotel by Best Western Evansville! "Room is fine, WiFi is crap"
I have stayed here 3 times in just as many weeks. Every time, the WiFi drops off intermittently and I have to use my phone as a WiFi hotspot if I want to try to get work done. It is necessary for me to complete some work and I've never experienced such horrendous WiFi service anywhere else. I will be traveling to this location weekly for several months but I just don't think I can tolerate going back given the internet service being insufficient. 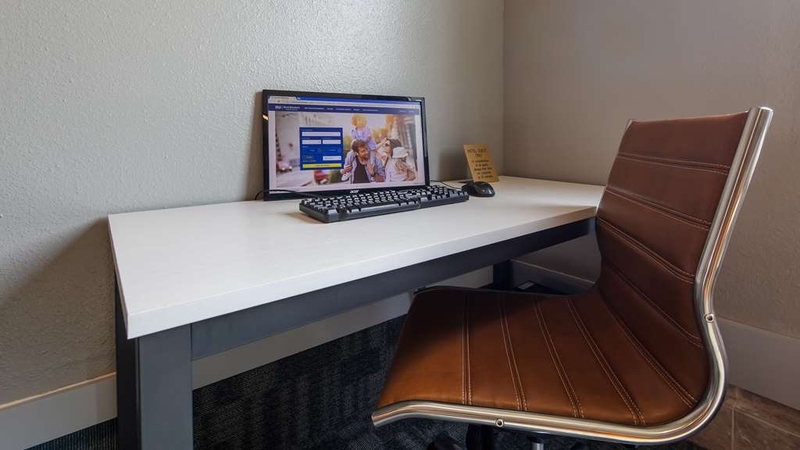 We realize that guests who stay with us have many reasons for staying connected, and we sincerely apologize that you found it difficult to complete your work using our complimentary Wi-Fi. We will share your concerns with our IT group and work to address this issue promptly. Thank you for bringing this to our attention, and we hope that you will give us another chance to host you with the reliable service that you are seeking when traveling. My family and I made an overnight stay at this particular SureStay Plus by Best Western during a family reunion in far southern Illinois. This location is directly south of Interstate 64 and about twenty minutes north of Evansville, Indiana. 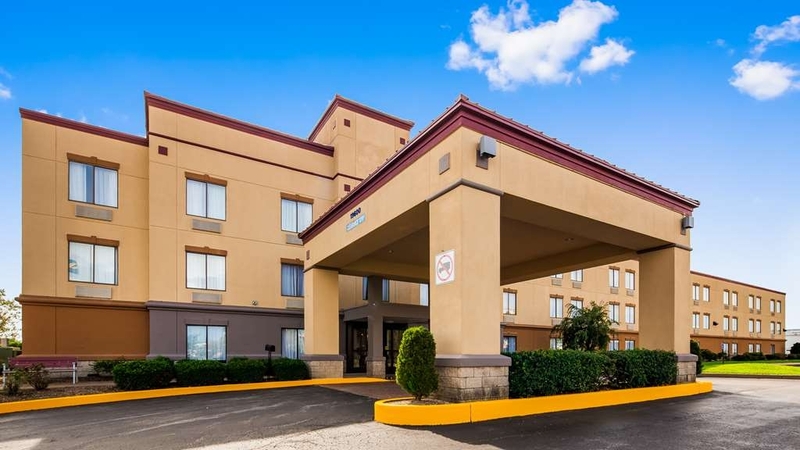 It appears that this property had recently been acquired by the Best Western brand from the Red Roof Inn chain as there were signs of remodeling that was ongoing and some of the in room literature about the hotel and amenities still listed the Red Roof Inn name. Overall it appeared very clean and inviting both inside and out. The landscaping was undergoing renovation as well so it appeared a bit shabby but the building exterior was well kept. We were assigned a room on the second floor and upon entering, the first bed appeared to be broken. 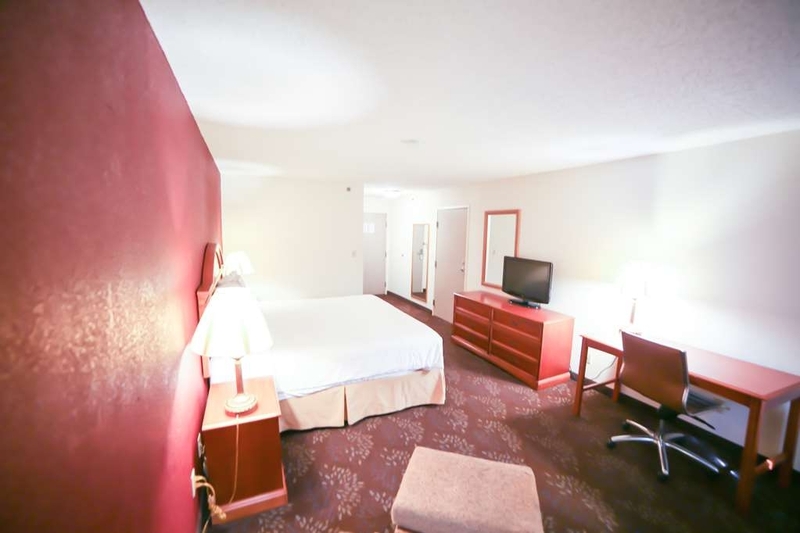 A quick call was made to the front desk and we were given a new room with no hassle but it was a bit inconvenient as we were traveling with our daughter and her family and we had requested rooms next to each other. No big deal. I was also a bit disappointed as we had also requested a room with two queen size beds because my mother in law was staying with us and the beds were definitely not queen size and more like full size beds. My wife and I are full figured people and sleeping was a bit close but again, no big deal as we were only staying overnight. The room was clean and comfortable as well as the bathroom in the room. No complaints there. We made use of the indoor pool shortly after arrival and the pool area was clean and well stocked with towels but the pool water was a bit cold so we didn't stay in very long but we still enjoyed it after a long day. The hotel offers a morning breakfast consisting of the usual breakfast fare; eggs, sausage, biscuits, cereals, fruit, etc. Overall, it was palatable and convenient especially if you're on a budget and trying to save money by not dining out at every meal. I would both recommend and stay at this SureStay Plus by Best Western location again when traveling through the Evansville, Indiana area. 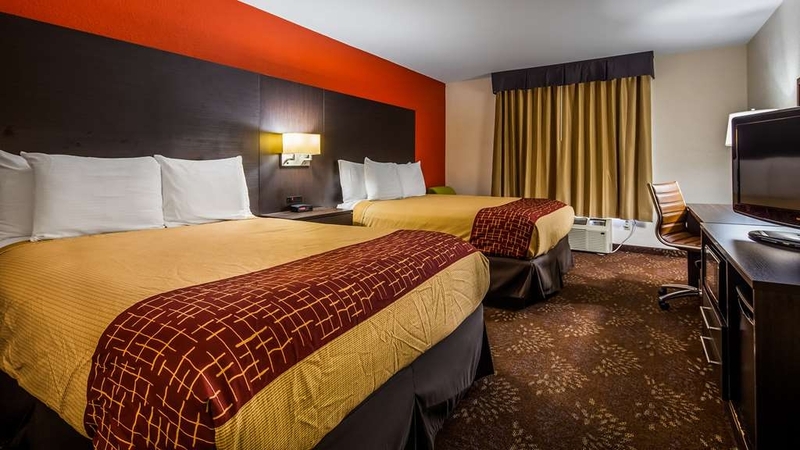 We appreciate you choosing to stay with us at SureStay Plus Hotel by Best Western Evansville! Thank you for your constructive review as it gives us the opportunity to continually improve our services and facilities. 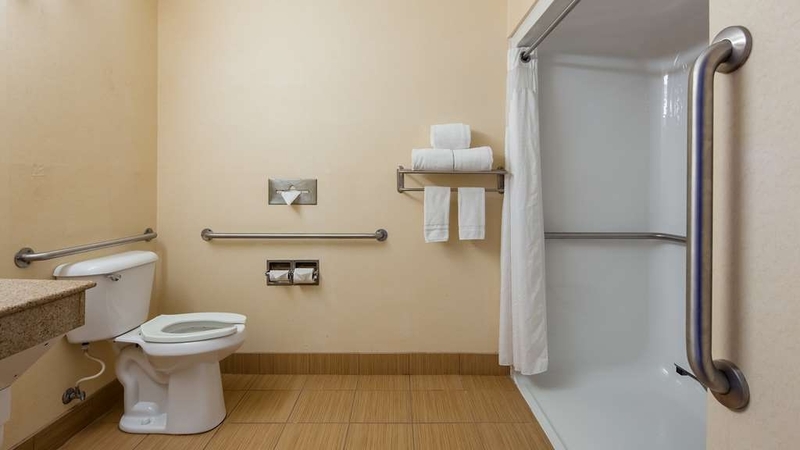 We apologize that you encountered issues with your first room but are glad that our friendly staff could easily accommodate a transition to a new room. 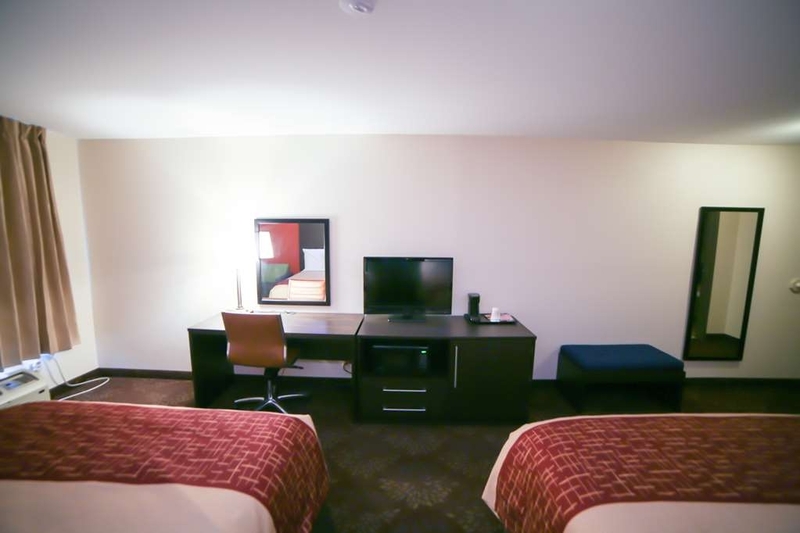 After a long day of travel, it's always nice to relax in a clean and comfortable room. Thank you again for your review and recommendation, and we hope to see you again next time you are in the area! "Nice Hotel even better price!" We just needed an overnight after some races. So really figured not a big deal if it wasn't so great. It was quit a bit cheaper than the others nearby, Was pleasantly surprised. The beds were very comfortable. The room was clean and looked like it had been freshly remodeled. Staff was friendly and helpful. Will stay there on the next trip to races. Dear Lisa, We take pride in offering welcoming accommodations at a great rate so it's wonderful to know we succeeded during your stay. Thank you for sharing how much you enjoyed your visit in our clean, cozy rooms. It's nice to hear that you slept well and we look forward to seeing you again at SureStay Plus Hotel by Best Western Evansville. 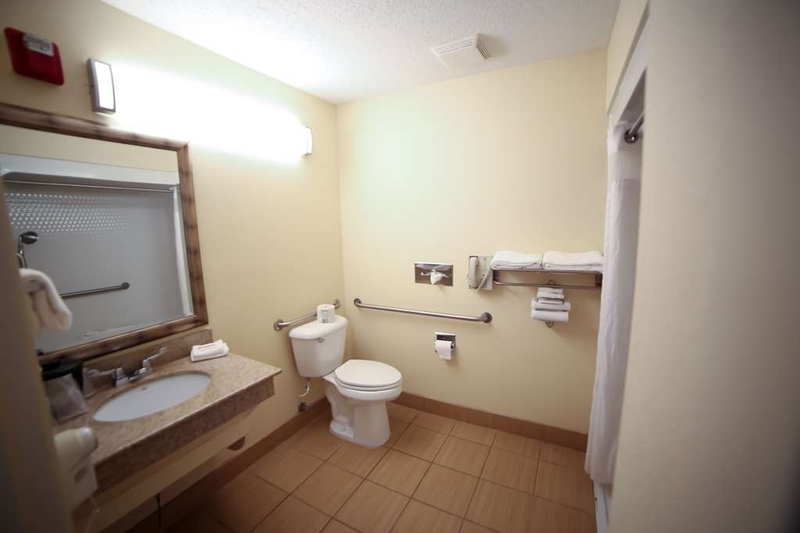 "Nice experience for a very budget class hotel." This hotel far exceeded my expectations given the very low price. We were able to stay in one of the newly renovated, larger rooms and still came in way below what we thought we might pay. The bed was comfy, the room was clean and the breakfast was decent. The staff was super nice! 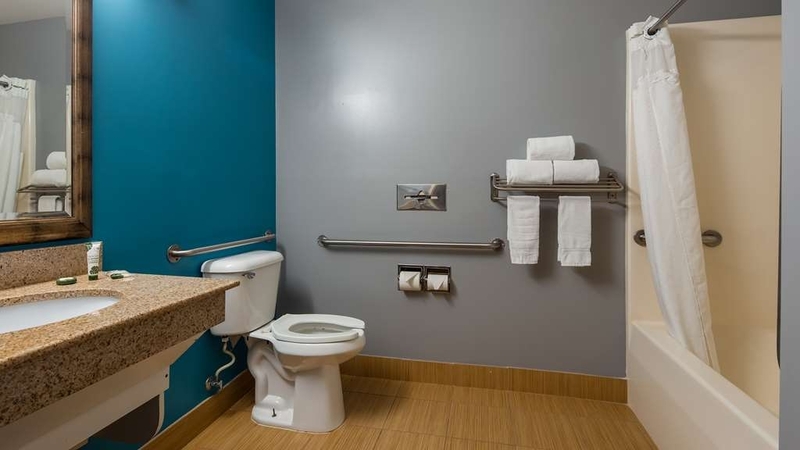 Many thanks for your positive review of SureStay Plus Hotel by Best Western Evansville! 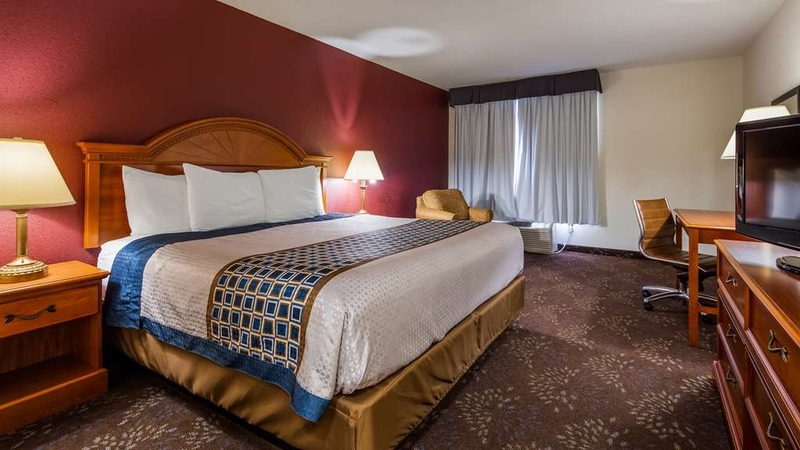 We're proud to know that our clean, spacious, newly renovated accommodations were comfortable and greatly exceeded your expectations for excellent value. Our team was also delighted to provide you with a tasty breakfast and friendly service. Your kind compliments are much appreciated and we'd love to host you again. "Awesome Renovation! Really great staff." I am staying at the hotel right now and am writing the review from the hotel business computer. I really cannot believe how amazing this hotel has become. I stayed 3 years ago and the previous management was terrible, the hotel was outdated and the rooms even smelled... This hotels new manager Andy is the best I have seen in a while! He works every department and I don't even think this guy sleeps, he deserves a huge raise. The hotel is beautiful, breakfast has been upgraded and it's in a really quite area north of town. I definitely will be coming back. Dear Steve, First, we would like to thank you for coming back a few years later to stay with us again and acknowledging our efforts in renovations and improvements. We are thrilled to know that you loved them. We are very lucky to have Andy helping to guide our customer-focused mission, and we can't wait to share your kind words with him. Thank you again for your five-star review, and we look forward to being your hotel choice in Evansville for many years to come! "Good stay but close to train track"
The only reason that I lowered my score if this property to average is that there are trains going by, not too far away at all, all night long. If you're a light sleeper, this isn't gonna be good for you. Other than that, beautiful bedding, nice tv and channel selection and the standard breakfast. Went here because of decent reviews. For the price,they should be ashamed. After LONG trip in fog at night,arrived exhausted. First room actually was clean enough..cable didn't work. Called downstairs.person said they changed cable and have had problems but she couldn't fix it. Had a kid with me and needed some downtime. So we moved. Into a room from a B Movie or worse. Called person again to ask if she knew condition of room,she said no. Room had torn and stained lampshades,broken headbaords, broken phone with NO buttons!! A window with Some sort of white paint over entire window so you couldn't see out. Cable worked. I felt like I was in a bad movie. THIRD move...Room still had some clean lines issues and wear issues but better than #2. Cable worked. Was going to accept the bad experience but went to "breakfast" and was sick to my stomach. One pile of scrambled "eggs", a couple of grey sausage sticks. NO juice at all..machine spat out watery liquid instead.any breads or bagels that were out were hard as a rock. NO milk. NO One around, dark.kitchen area. Cannot recommend AT all...again...the price wasn't EXACTLY all that cheap and worst experience I've had in a long time. No manager around the night of.my issue or next morning before we left. We stayed here overnight while traveling. The first room was not clean but we were quickly given a different room. The room was comfortable for our overnight stay. My son left his glasses at the hotel and they were kind enough to send them to him at college which was very helpful as we were not going through Evansville again. 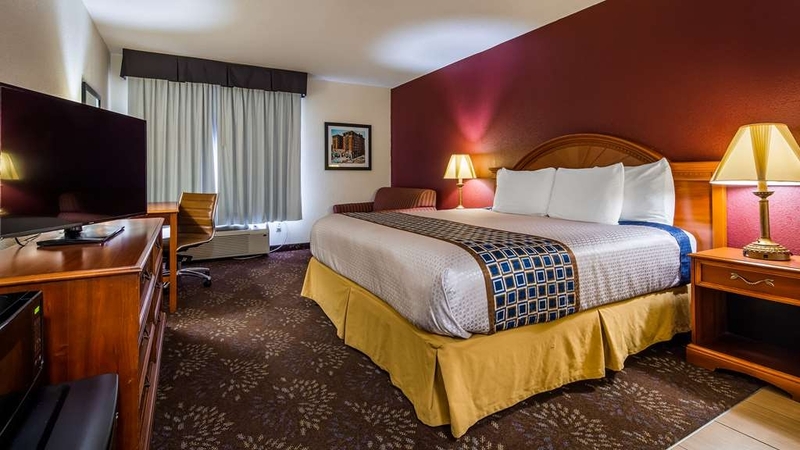 "Hotel of choice for Trip to New Harmony and Evansville"
Very pleased with this location, friendly staff, fast check in, basic but comfortable and clean room. Had a great hot breakfast next day. Eggs, sausage, waffle maker, the works! Very pleased, got my free bottled water since we are members! Will definitely stay here again for my next trip around this area!